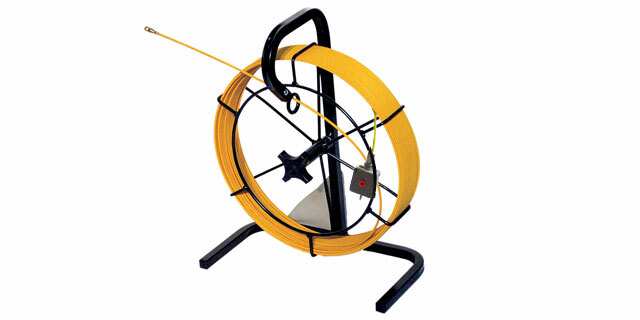 The Reel Rod has a sturdy, powder coated, steel tube frame and features a 16" diameter storage basket. Up to 500ft. 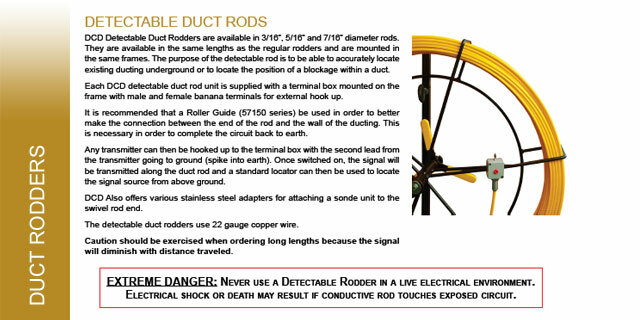 of rod can be stored in this basket although DCD recommends that 400ft as the maximum for this diameter rod. A light adjustable brake prevents the rod from reeling out of the basket under its own tension. This 5/16" Ruf Rod is one of the most popular sizes because of its versatility in both small and medium size ducts. It is the smallest of the wheel frames, at well under 3 ft. in height or length. 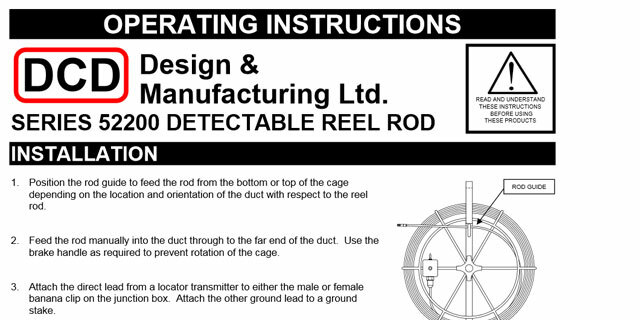 Although DCD only recommends lengths up to 600 ft, the standard cage will hold up to 1000 ft. 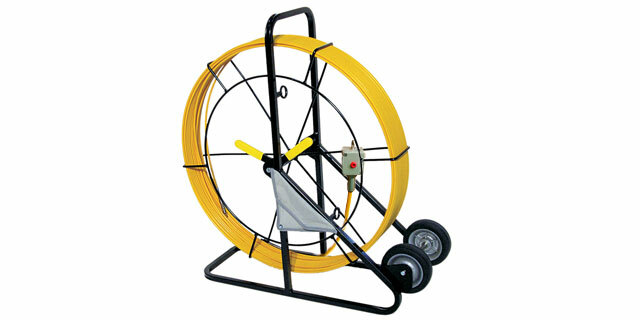 The longer lengths should only be used in smaller ducts (up to 2-1/2” dia) and when there are few bends. 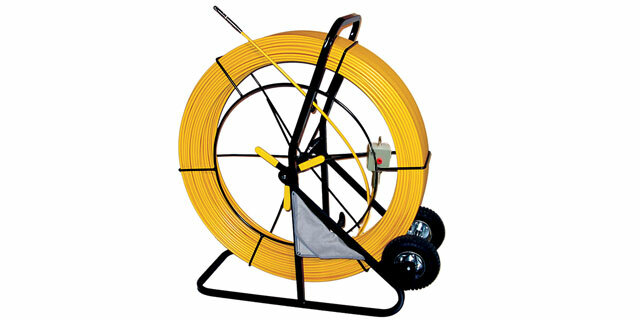 The 7/16" Ruf Rod features our largest frame with a 40" diameter storage basket which can now store up to 1000 ft of 7/16" fiberglass rod. The Standard Ruf Rods include a Female Rod End, a Swivel Rod End and a Pulling Eye. The Deluxe version includes accessories as listed in the catalog PDF.